SMM Buzz: Who Is An Inspiring Teacher? I strongly believe in this Sanskrit sloka. If you ask me who is an inspiring teacher, then I must say “who inspires student’s hope, ignite the imagination, and instill a love of learning” is the one who can do anything. Because, the mediocre teacher tells, a good teacher explains, superior teacher demonstrates and the great teacher inspires. The teacher becomes inspiring when he is like a good entertainer, who holds his student’s attention, and then teaches the lesson. I believe teachers or Gurus are the mentors of everyone’s life. Teachers dedicate their entire life in teaching and educating us. They are the persons, who are responsible for what we are today, so it becomes crucial for teacher to be inspiring for every student. Off course, our parents have given us the life but teachers taught us, what life is! Teachers taught us from alphabets to the toughest mathematics. They taught us why the world is like this. 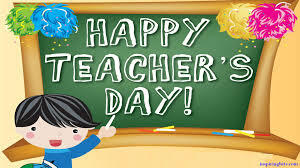 The word “Teacher” is only enough to inspire hundreds, Teachers are the mentors, who puts in so much effort to make students life much better, bright and successful. Every teacher has the major part of contribution in every student’s life. So, asking question, who is inspiring doesn’t make any sense as all the teachers are inspiring. They are no lesser than Google or Wikipedia, when it comes to knowledge. Teachers are the source to gain knowledge and wisdom. By this article I want to salute to all the teachers, whose significant contributions changed the structure of the society. 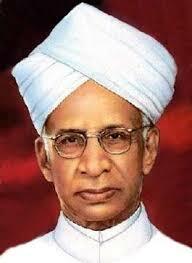 Happy Teachers Day to all of you and All Teachers areinspiring in their very own way.